Can you please explain what changes were incorporated in the guest network routing? Thank you for all your answers, unfortunatelly is not working. I tried youtube method and also with wireshark. It's not working. Ping is not reaching the router. I am using gargoyle on that router since 1.5 and never had any problems upgrading until now. Maybe there is a problem with the firmware? 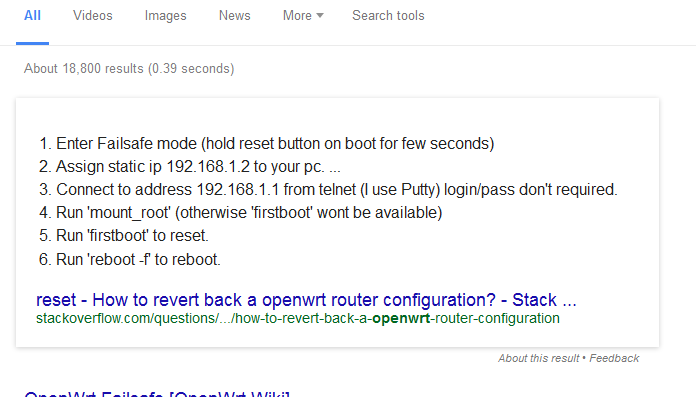 I checked the web for the failsafe boot, but according to the openwrt wiki one should push the button when the sys-led lights up..but as I mentioned before, only the pwr and link leds do..
Go for a serial recovery. Did the two people reporting "bricks" attempt to preserve settings?